You can see all the products you’ve purchased, choose the suitable one then click Download to save the files. Before setting up the theme, you will need a WordPress copy installed on your server or localhost. Go to http://wordpress.org/download/ to get a WordPress copy. Extract your theme zip file at .../wp-content/themes. 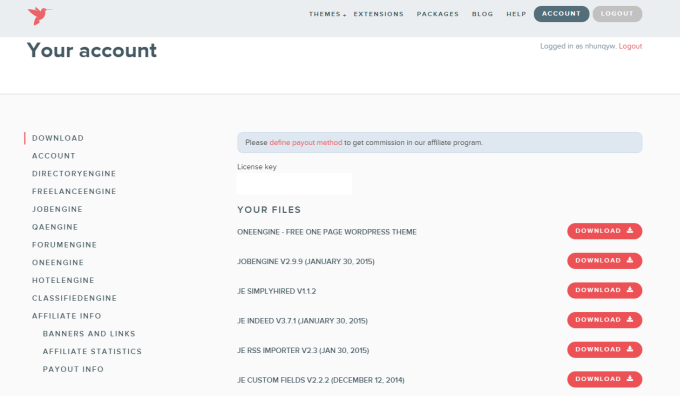 Once the file is extracted, your theme will automatically appear in Appearance → Themes tab of your WordPress admin site. Go to Appearance → Themes → Install Themes → Upload. Press Browse button, select your theme zip file and click Install Now. If the installation is successful, you will see the message " Theme installed successfully" and you will be asked to activate the theme right away or later. 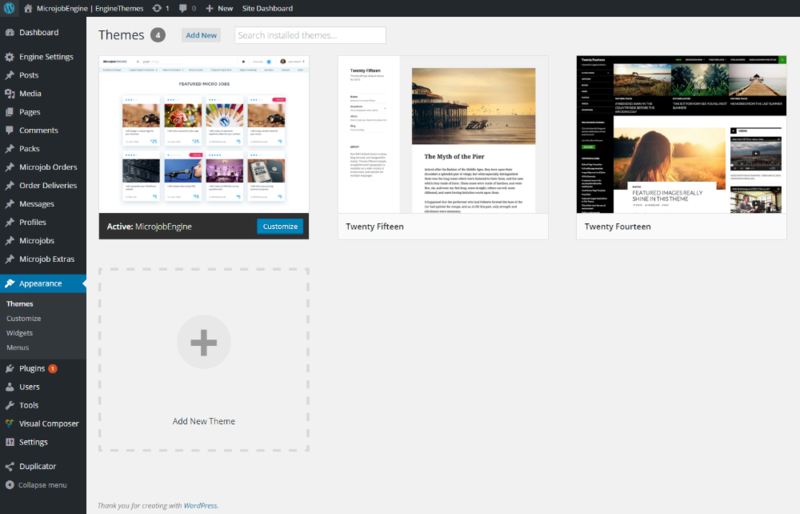 You can activate your theme anytime by accessing Appearance → Themes.